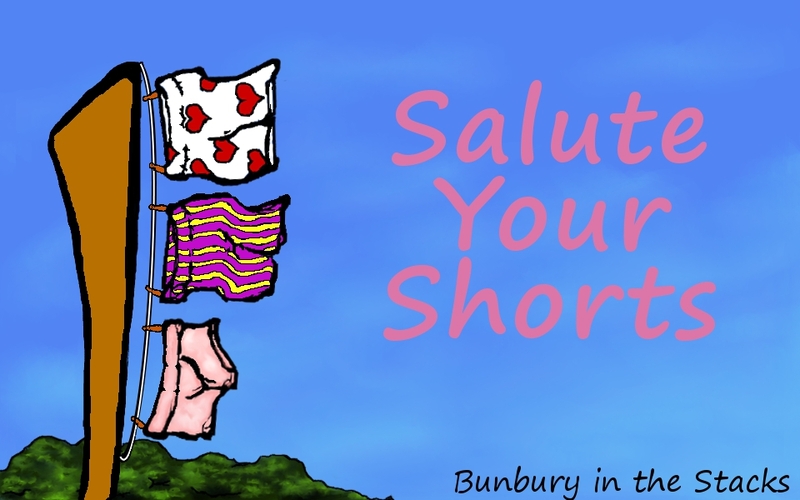 Salute Your Shorts is a weekly (ish) feature here at Bunbury in the Stacks highlighting and reviewing short stories and novellas. Everyone is welcome to join at any time, just grab the pic above and shoot me a link in the comments so that I can include your post in a roundup. Standing: This week I’m talking the Wicked Lovely stories. Spoilers! : This review contains all sorts of spoilers for the Wicked Lovely series, which I’ve reviewed as a whole here. Half of the stories take place after that series ends. So seriously. Go read that first. But remember, you can read half of this anthology spoiler free, and I’ve reviewed those stories here. From the gentle tones of a storyteller’s cadences to the terror of a blood sacrifice, tales of favorite characters from Marr’s Wicked Lovely novels mix with accounts of new characters for readers to fall in love with…or to fear. 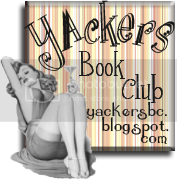 Welcome to the Wicked Lovely edition of Salute Your Shorts for Faery Tales and Nightmares! Today I’ll be talking the other six stories in the anthology, the ones that are either in, or somehow related to the Wicked Lovely universe. What can you read? First off, The Sleeping Girl and the Summer King is not technically Wicked Lovely, so go to town. Old Habbits and Stopping Time take place after Ink Exchange, so you are free to read those if you’ve only read up to that point in the series. Cotton Candy Skies shouldn’t be read until after Darkest Mercy, Unexpected Family and Merely Mortal should not be touched until you’ve finished the series. I knew that this story was described as Wicked Lovely-ish, but before reading it I didn’t really understand why. 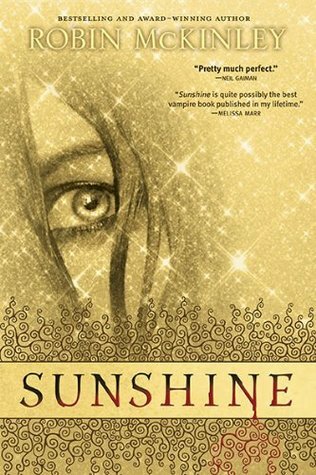 This was the short story that Melissa Marr wrote that later turned into the series, however, The Sleeping Girl and the Summer King is quite different than the series itself. You can see that the structure is there (and a character named Aisling! ), but it is still very much its own story. Each winter, a girl falls asleep, and spring only returns when she dreams of it. Throughout the summer, she spends her days basking in the sun with the summer king, until finally she comes of age where she is too old to sleep again. At this time, she is presented with a choice: stay young forever as one of the many girls of summer, or age as winter. Only if she chooses winter will its previous barer be free, but the allure of both sides is strong. This was the WL story I was most excited to read when I picked up Faery Tales and Nightmares. I probably would have been more excited about Old Habits and Stopping Time, but I’d already read them, and I knew Cotton Candy Skies featured my other WL favorite—The Shadow Court. I love Devlin and Ani, and was super excited at the chance to see them again, so I’m not going to lie and say I wasn’t a little disappointed that they were barely in this story. However, when I thought about it, it made sense. They’d already had their happy ending, and there were others that still needed some tying up. That’s where this story, and Rabbit came in. Cotton Candy Skies features Rabbit, Ani and Tish’s older brother and father figure, who has found himself sealed in Faerie. He feels at a loss, unsure of what to do with himself that will make him feel worthwhile in the same way that he felt needed and worthwhile in the outside world. It was fun to have a story about Rabbit, a minor character that I always liked, but we never heard much from. It was the perfect choice for a Shadow Court tale, and in the end it may not be my favorite in the collection, but I was happy nonetheless. Unexpected Family takes place about a week after the events of Darkest Mercy conclude, and it’s a Seth story (yay!). Seth receives a letter from his mortal parents insisting that he visit them, indicating some urgency. 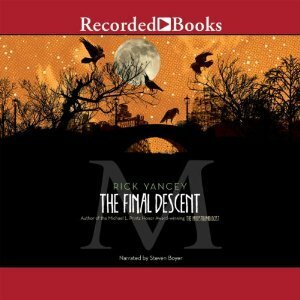 He hasn’t seen his parents in several years, and while they have an amicable relationship, he’s certainly not in the mood to leave Huntsdale after all of the upheaval. For his family, however, he will. Seth bids goodbye to Aisling, and requests that Niall accompany him to California, knowing that he and Niall have to work out their differences. Seth doesn’t want to lose Niall as a brother, but he knows there will be friction as his opposite. I enjoyed this story a fair amount, particularly because Seth is one of the most interesting characters in the Wicked Lovely series. With three courts heavily invested in his welfare as son, lover, and brother, is it any surprise that he’s generally a good guy? Unexpected Family was probably my favorite WL story in this collection, though it would honestly be behind Old Habbits and Stopping Time which I read previously. Unfortunately, Merely Mortal ended up placing as my least favorite story in this anthology. It’s a shame, being as it was also that last story in this collection, and therefore left me feeling a little down on it (even though the bulk of stories were wonderful). Merely Mortal is a story of Keenan and Donia, attempting to cope as a real couple for the first time in over a century. They have loved each other for a very long time, but have never been able to surmount the obstacles standing in their way. Now, finally, Keenan has given up his regency and is free to love Donia, however, he has also given up his immortality. After 900 years, Keenan is mortal, delicate, and easily broken. He wants to attempt to become fae again, but Donia is so afraid of him being hurt. Merely Mortal tells a light tale of this couple vacationing—something rare and unusual for any fae reagents. I’m honestly going to kind of gloss over these two stories because I read them as e-book singles while I was reading the Wicked Lovely series last year, and chose not to reread them when they were published in this collection. They are the two longest stories in the book, each more a novella than a short story, they make up about 1/3 of the text in Faery Tales and Nightmares. Let’s just suffice it to say that if you love Niall, Irial, and Leslie (and if you don’t, I really think you’re missing out), you must check out Old Habbits and Stopping Time. Stopping Time focuses largely on Niall and Leslie, while Old Habbits focuses largely on the relationship between Niall and Irial. To me, these three characters are the most compelling of the entire series, and getting these extra novellas to explore the relationships between my favorite characters was time well spent!